Plaster figure maker. Born near Lucca, Italy, Brucciani came to England with his father. 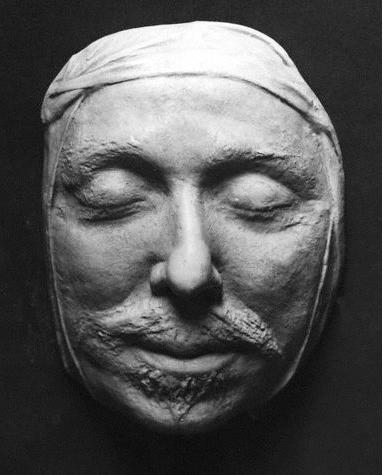 He established a Gallery of Casts in Covent Garden and became the leading figure maker in London. He worked for the South Kensington Museum (now the Victoria and Albert Museum), the British Museum and the National Portrait Gallery, taking casts of items in their collections and of monuments elsewhere..
Lewis Brucciani 1822-1844, Domenico Brucciani 1846-1881, D. Brucciani & Co 1882-1906, D. Brucciani & Co Ltd 1906-1921. At Lower Lambeth Marsh, London 1822-1824, 15 Denton St, Somers Town 1824, 9 Winchester St, Pentonville 1827-1828, 131 Drury Lane 1828, 5 Little Russell St 1829-1860, 1 Leather Lane 1857-1880, 58 Baker St 1853, 5, 6, 7 and 8 Little Russell St 1858-1860, street renamed and renumbered 1860/1, 36 and 39 Russell St 1862-1864, Galleria delle Belle Arti, 40 Russell St WC 1864-1901, 13 Bucknall St 1895-1901, 254, 256, 258 Goswell Road, EC 1902-1921. Figure maker 1822, Plaster figure man 1841, Formatore and modeller 1870s. The early history of the Brucciani family as Italian figure makers in London requires elucidation. Lewis Brucciani was in business in Lambeth as early as 1822. His wife Lucy Brucciani (d.1838) took out insurance in 1824 in trust for him as an artificial flower manufacturer, and later the same year also as a plaster figure maker, but it was not until 1828 that Lewis Brucciani set up in business in Drury Lane. Domenico Brucciani eventually took over this business but not before he had traded independently elsewhere (see below). Domenico was presumably Lewis and Lucy Brucciani’s son, but it is not clear how he relates to another figure maker, Nicholas or Nicolao Brucciani, found at 24 Wellington Terrace, Waterloo Road from 1839 to 1843, whose age was given as 60 in the 1841 census. 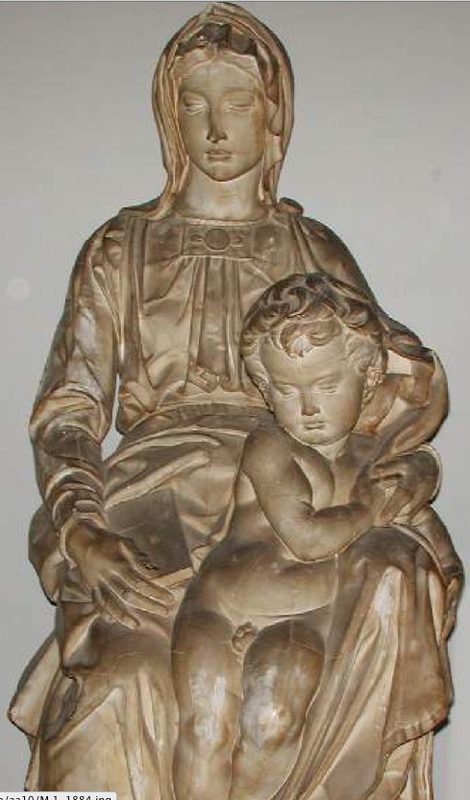 Two further Italian plaster figure makers by the name of Brucciani, both born at Barga, close to Lucca, were recorded in the 1881 census in Camberwell, Raffaele, age 24, and Pietro, age 19. Domenico Brucciani (c.1815-1880) is said to have been born in Lucca in 1815. He married Mary Ann Richardson in 1841 at St Martin-in-the-Fields, apparently remarrying, as Domenico Giovanni Brucciani, in 1846 at Richmond. He traded from Little Russell St from 1829. 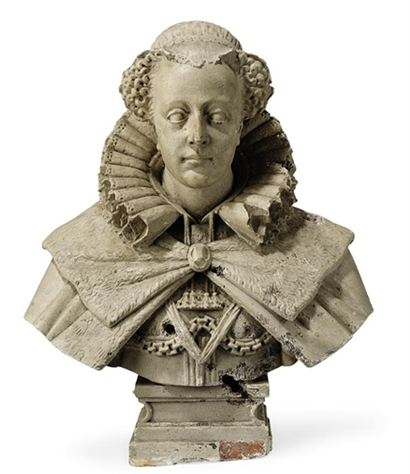 He also traded from 1 Leather Lane in partnership with Giovanni Graziani as plaster figure makers, a business which he continued following the dissolution of the partnership in 1857 (London Gazette 20 March 1857). When Brucciani’s new premises, the Galleria delle Belle Arti, opened at 40 Russell St in 1864, the size of his new gallery of casts was given as 100 by 25 feet (Art Journal, vol.3, 1864, p.330). He worked as a modeller for the South Kensington Museum (now the Victoria and Albert Museum) and the British Museum, taking casts of items in their collections and supplying other casts. He described himself as ‘Formatore [i.e., maker] & Modeller to the Science and Art Department’, as well as to the British Museum and the Royal Academy of Arts, on his handsome blue invoice paper (examples from 1870s, National Portrait Gallery records, Duplicates of Accounts, vol.1, pp.71-3, 104). By the time of the First World War, as the demand for plaster casts declined, the Brucciani business was finding it increasingly difficult to carry on, as was reported in 1916 (The Times 26 December 1916). 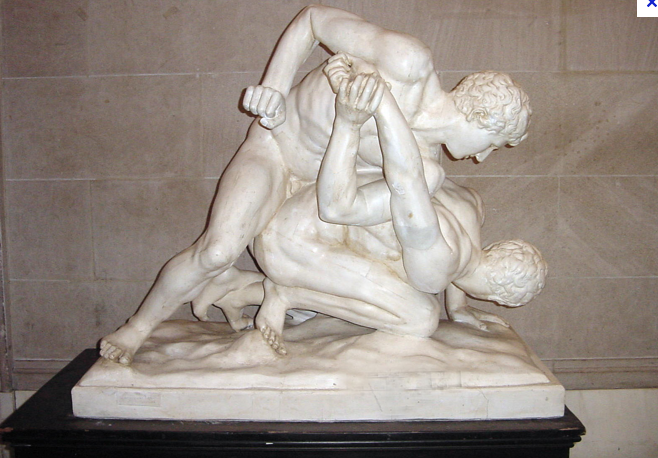 In response to the threat that their unique collection of plaster moulds and casts might be dispersed, a petition led by Sir Edward Poynter PRA, that the Government should purchase the collection, was addressed to the Prime Minister but without success. The shipowner, Sir William Petersen, then supplied the means for the business to carry on during the war. The business went into liquidation in 1921, when a meeting of the company was held at the Victoria and Albert Museum (London Gazette 15 July 1921). The company was taken over by the Board of Education and run by the Victoria and Albert as a museum service, renamed the Department for the Sale of Casts, until financial losses forced its closure in 1951. The business’s products and activities: The nature of Domenico Brucciani’s stock can be traced from their trade catalogues (V&A National Art Library). A catalogue of casts, from 5 Little Russell St, thus probably dating to the 1840s or 1850s, claimed to offer the largest collection in Europe of antique and modern statuary, Greek, Roman and mediaeval ornament, ‘to be viewed gratis’. Brucciani claimed to have extended his stock by importing from Rome, Paris etc a large assortment of the best works of modern artists. These included casts of works by Thorwaldsen, Canova, Sir Richard Westmacott, Baily, Gibson, and Flaxman (Catalogue of Casts for sale by D. Brucciani, n.d., 50pp, plus Catalogue of Casts from Mediaeval Art, 37.R Box XI). A catalogue from 40 Russell St, thus dating to the 1860s or 1870s, offered a similar range, also advertising that subjects could be supplied in artificial stone for gardens and parks (Catalogue of Reproductions of Antique and Modern Sculpture, 56pp, 37.X.60, as ). Brucciani’s most important commission for the South Kensington Museum, according to the Victoria and Albert Museum website, was the casting of the 12th-century Portico de la Gloria, an 18-metre wide section of the façade of the cathedral at Santiago de Compostela, undertaken in 1866. The National Portrait Gallery owns 24 electrotypes and works in plaster cast by Brucciani, the electrotypes commissioned by the Gallery between 1869 and 1877 from Elkington & Co from casts made by Brucciani, and the plasters acquired from various sources between 1878 and 1911.
rucciani’s most important commission for the South Kensington Museum, according to the Victoria and Albert Museum website, was the casting of the 12th-century Portico de la Gloria, an 18-metre wide section of the façade of the cathedral at Santiago de Compostela, undertaken in 1866. The National Portrait Gallery owns 24 electrotypes and works in plaster cast by Brucciani, the electrotypes commissioned by the Gallery between 1869 and 1877 from Elkington & Co from casts made by Brucciani, and the plasters acquired from various sources between 1878 and 1911. The business also treated sculpture. D. Brucciani & Co Ltd worked for the National Portrait Gallery, 1912-20, mainly on plaster busts, for example, cleaning and colouring six plaster casts by Woolner for £3.3s in 1912, ‘Removing old paint & colouring Black Bronze’ George Gammon Adams’s Sir Charles Napier for £2.2s in 1914, and treating in a similar manner 33 plaster casts for £52.16s in 1915 (Duplicates of Accounts, vol.7, pp.79, 112, 134, 150, vol.8, p.42). 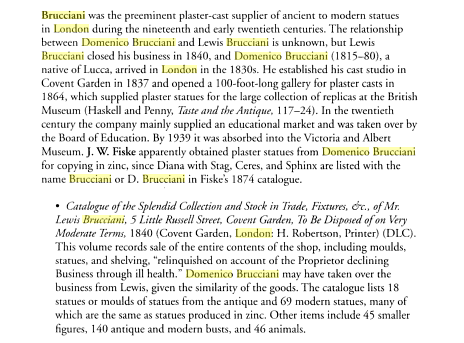 Subsequently, the Victoria and Albert Museum, as successors to Brucciani, undertook somewhat similar work for the National Portrait Gallery, including for example repairing Rysbrack’s terracotta, Sir Robert Walpole, for £5 in 1926 (Duplicates of Accounts, vol.9, p.57). Sources: Francis Haskell and Nicholas Penny, Taste and the Antique: The Lure of Classical Sculpture 1500-1900, 1981, pp.117-8, 121-3 (for the supply of casts after the antique); Guildhall Library: Records of Sun Fire Office, vols 496 no.1019230, 500 no.1019514, 512 no.1063656, 518 no.1094287, 519 no.1084751, 527 no.1109487, 530 no.1125769, 544 no.1184057, 550 no.1208380; National Archives, Treasury: Treasury Board Papers and In-Letters, T 1/12516, for records relating to the Board of Education’s acquisition of the business, 1920; National Archives, Department of Education and Science and predecessors: Establishment Files ED 23/540, for records, 1919-34, on taking over the business and its subsequent reorganisation.